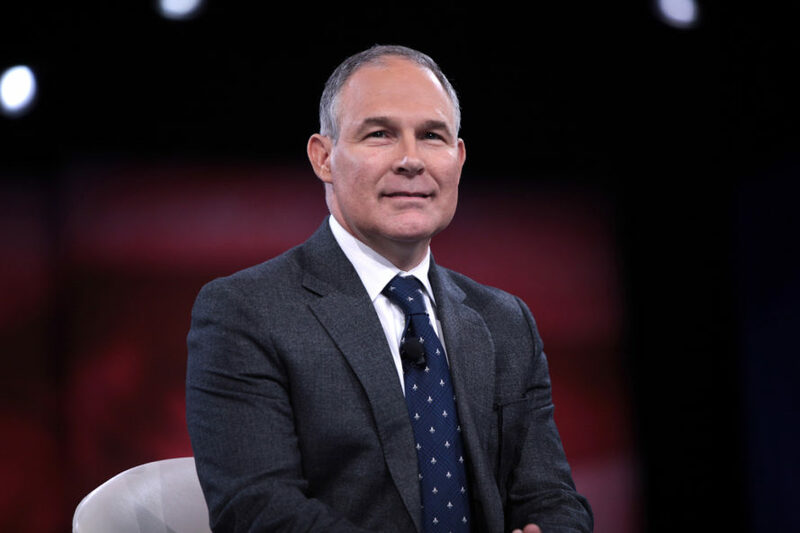 EPA scientists, policy experts, and environmental lawyers are openly opposing the confirmation of a man who’s sued the EPA 14 times – sometimes working with large fossil fuel companies – and can’t come up with even one EPA regulation he supports. The EPA’s union has sent emails and posted on social media exhorting members to take action. EPA employees in Chicago protested on the streets. TechCrunch reported yesterday the EPA posted a snapshot of what their website looked like the day before Donald Trump’s inauguration after receiving numerous requests for the information. Two Democrat senators, West Virginia’s Joe Manchin III and North Dakota’s Heidi Heitkamp, said they’ll vote for Pruitt, and only one Republican, Maine’s Susan Collins, said she’ll oppose him. Should Pruitt be confirmed, it would be difficult to fire those workers who opposed him due to Civil Service protections, meaning there could be a lot of internal dissension against actions Pruitt aims to take, like dismantling the Clean Power Plan. Environmental Protection Agency workers are resisting the potential confirmation of Scott Pruitt. Pruitt is currently Oklahoma's attorney general and has sued the EPA 14 times. EPA employees have phoned their senators and some have even protested in the streets.